A busy calendar of spring 2019 motor shows will have sports car transporters and covered supercar transporters in demand in the coming months as some of the newest models are unveiled across Europe. Ontime Automotive’s team provide event management services including safe and secure exhibition car transport and on-site support too, so you might well spot our uniformed personnel at an upcoming event near you. The UK kicks things off on January 10th-13th in Birmingham for the Autosport International show, which will mark its 30th anniversary in 2020. For the spring 2019 Autosport International show though, you can expect to see some previews of upcoming track cars, as well as customised supercars in the Performance Car Show. 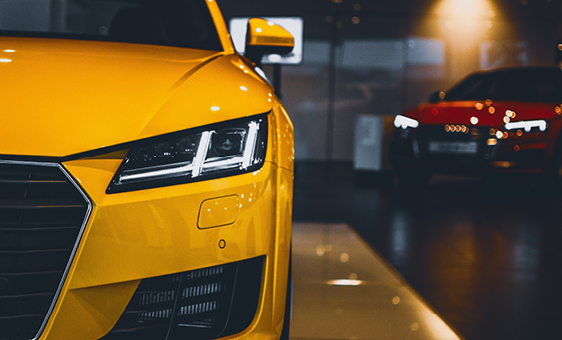 These are some of the most valuable and unique vehicles around, so you can expect to see a fleet of supercar transporters rolling up to the NEC and carrying them safely home again after the event is over. Also in January is the Brussels Motor Show, due to take place on January 19th-27th with attendance figures likely to smash the half-million mark. Brussels is about a 300-mile drive from Ontime HQ in Chipping Warden, so if you’re exhibiting and don’t want to clock up the miles on your display vehicles, our covered car transporters are a great way to cover the distance. If you do decide to drive to the event and break down while over in Belgium, our vehicle repatriation service is another option to get your vehicle back to the UK for repair work to be carried out at your convenience by a mechanic you trust. Looking ahead to the warmer days of true springtime, the Geneva International Motor Show opens at Palexpo on March 7th-17th and will be a major headline-grabber. It’s traditionally a chance to see upcoming production road cars from all of the main manufacturers, but this year for the first time there will also be stands featuring several major supercar marques too. So once again the secure supercar transporters will be out in force – and for exhibitors the benefit at a mixed show like Geneva is that nobody knows if a covered car transporter is hiding a Ford or a Ferrari. It’s a longer drive to Geneva – around 700 miles from Ontime HQ – but with our reliable, professional and secure supercar transporter service, you can rest assured that your pride and joy will be there on time. To find out more about any of our sports car transporter, covered supercar transporter or vehicle repatriation services, as well as our on-site event management and uniformed support services, please get in touch. You can fill in our online enquiry form for a quick response via email or telephone, or contact us directly on +44 (0) 1295 770040 – you might want to make a note of that number and international dialling code in case you ever need emergency UK vehicle repatriation services in the future.